Edison Junior High is a renowned private school with a reputation for stellar academic performances, as well as a long-standing legend: “Whoever goes into Dorm 420 and makes it out alive, his grades will vastly improve.” Chun, a gifted student newly transferred to Edison, treats the legend with scorn. 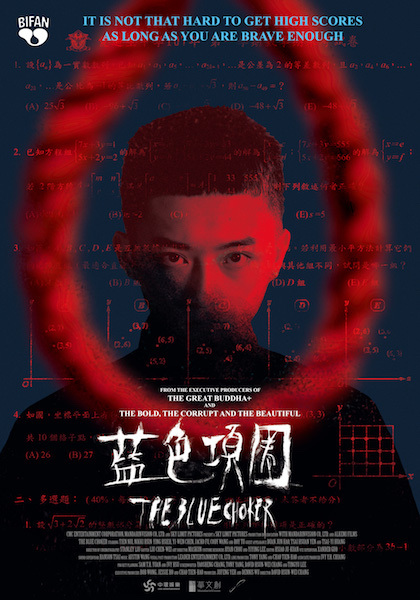 The gloomy atmosphere, distorted institutions and high peer pressures soon begin to disturb the rebellious Chun who tries to challenge everything he experiences. Little does he know that he is slowly falling into a treacherous and mysterious trap. Hsun-Wei David CHANG was born in Changhua, Taiwan, and studied films in The University of British Columbia, Canada. Upon graduation, he worked as a postproduction coordinator at Brightlight Pictures in Vancouver, Canada. Since 2004, he had worked as an assistant director, known for his AD work in SECRET (2007), DETECTIVE DEE (2010) and LUCY (2014). Chang’s first feature film DOUBLE TROUBLE was released in 2012. THE BLUE CHOKER is his second feature film. © 2016 MandarinVision. All rights reserved.